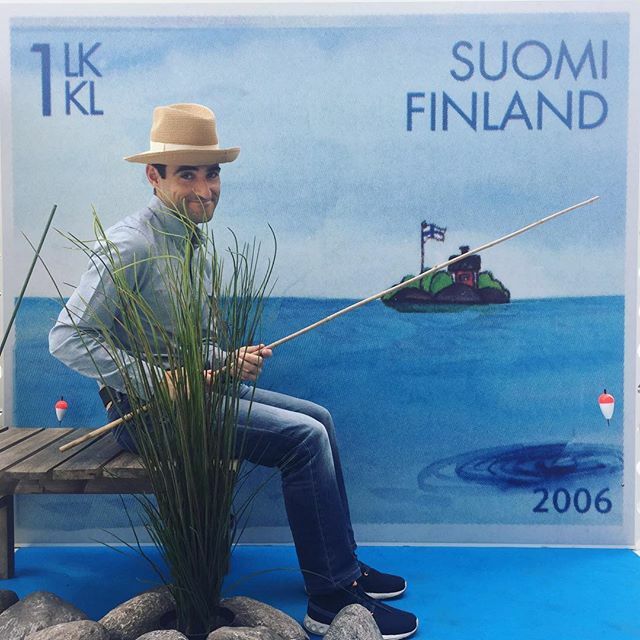 aaaaaah, finland. 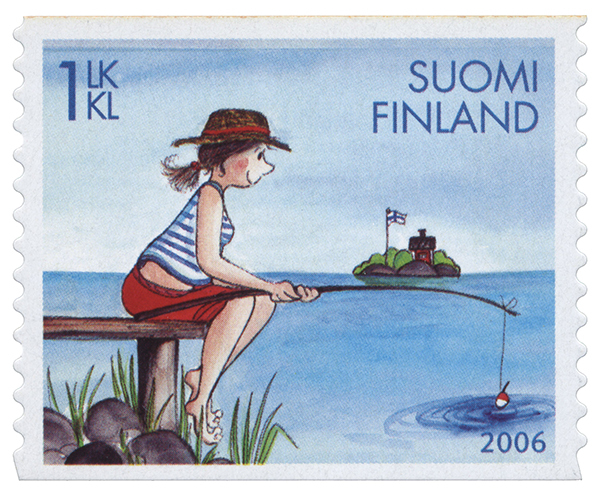 the land of moomins, delicious cardamom rolls, sauna… and brilliant stamps! 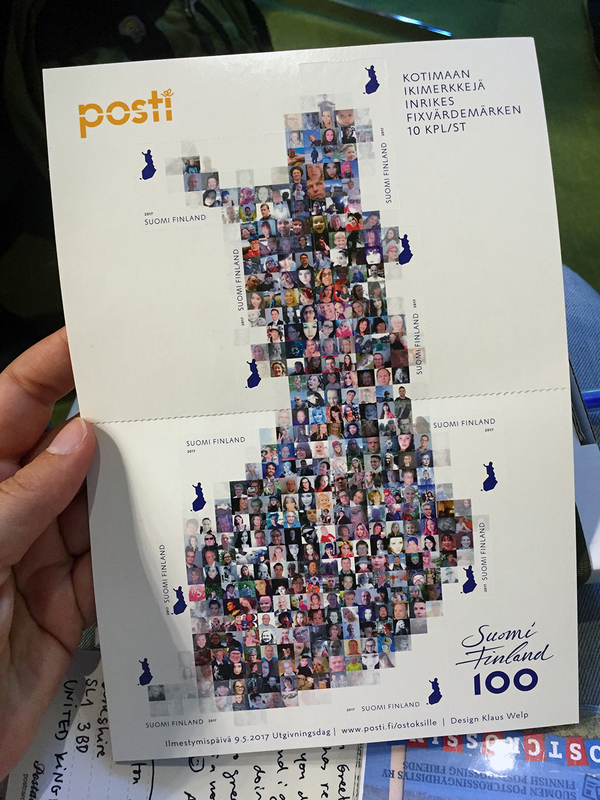 there’s the postcrossing stamp of course (one of the first to honour the project), but here are a couple others that i particularly like. the veggies stamps are a fun issue. 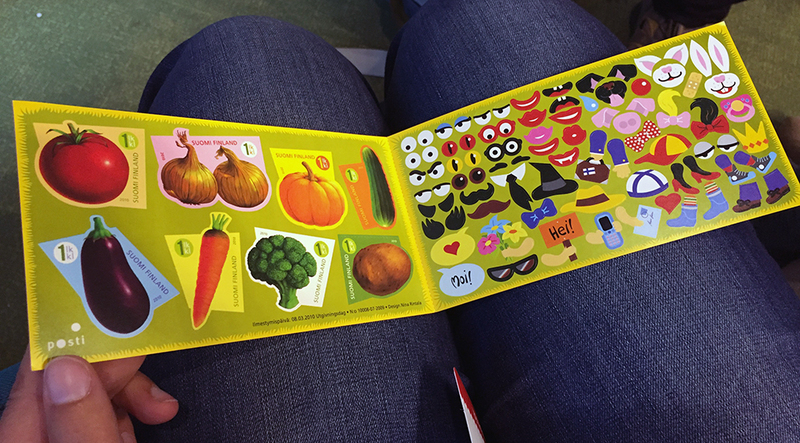 you pick a veggie on the left, stick it on your postcard or letter, and then decorate it with stickers from the right side — like playing mr. potato head! the combinations are endless and the result is always a different and fun stamp! 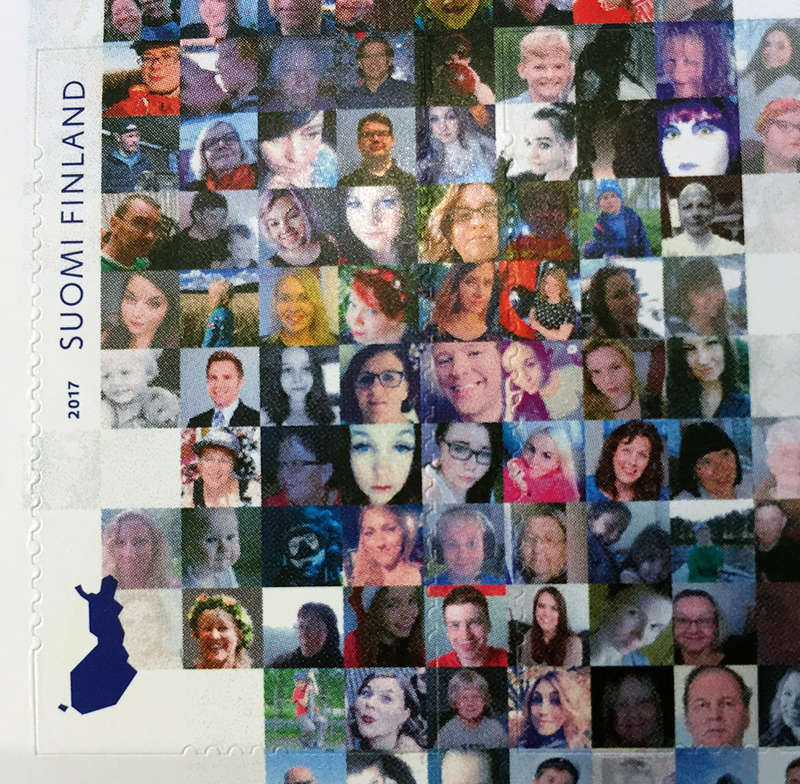 and last but not least, this magical moment at the finlandia stamp exhibition last year, in which their mini-volunteers at the kids section helped us become part of a stamp! In Morocco usually they do have stamps, but only of one kind.